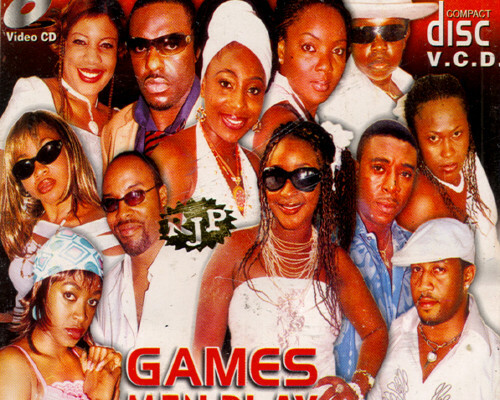 Games Men Play was a huge production filled with some of the biggest names in Nollywood. The film looks at the indiscretions among several wealthy Lagosian couples. The main protagonist, Tara (Kate Henshaw-Nuttal) decides to research couples for a TV show focusing her investigation on a television talk show host, Abby (Monalisa Chindu), her boyfriend Richmond (Michael Ezuruonye) and his greedy woman on the side (Ini Edo); a housewife with a painful past (Chioma Chukwuka) and her husband (Bob-Manuel Udokwu)who is haunted by dark secrets; as well as another housewife (Uche Jombo) who is struggling with a wealthy, cheating husband (Jim Iyke) and his demanding mistress (Dakore Egbuson). This film was highly controversial upon its release because of the way the male characters are able to get away with disrespecting and physically abusing women. Bandele, Biyi. “Welcome to Nollywood” The Guardian.